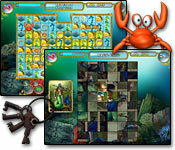 It is up to you to help your crab explore the underwater world in the hit sequel, Hidden Wonders of the Depths 2! Clear a path to the treasure chest in each level to advance to the next stage as you travel the globe. As you advance youâ? ?ll play exciting minigames and fun puzzles! Bask in the beauty of the sea and experience the addicting Match 3 gameplay. Can you travel from ocean to ocean and help your friendly crab? This jigsaw puzzle gives you a meditative and intriguing combination of art and music to help you relax. Use your acute visual skills to rearrange the pieces and make a picture in this fun puzzle game. Jig Words is a word game/puzzle hybrid that'll leave you jiggin' with glee. Spell words, and reveal hundreds of great photos! 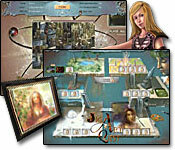 Everything you need to play and create jigsaw puzzles from your own pictures. Start at today's date and work through the year with Jigsaw365; choose from 365 photographs or use your own digital pictures. Join Penny as she tours around the world taking photographs and putting together unique 3D puzzles. Fit puzzle pieces together to rescue the last surviving unicorn in a once in a lifetime journey through a magical land. Solve unique brain teasers and play through incredible Puzzles as you discover the incredible secrets of Triazzle Island!